Stacy Tilton Reviews: Are You Ready For Cinco de Mayo? Many will celebrate with a few festive drinks this upcoming Cinco de Mayo. But wait! Did you know that one regular Margarita is over 600 calories per serving? However by using Cascade Ice in place of the alcohol you can knock that down to just around 55! It's a great way to get all the flavor and not feel guilty afterwards. Or in my case I'm not a fan of alcoholic beverages so it's the perfect alternative for people like me too. Not a fan of tequila? No problem! Try a delicious Skinny Daiquiri. To create this sweet treat, add 1 1/2 cups of ice and 1 1/2 cups frozen strawberries into your blender. Pour in 8oz Cascade Ice Zero-Calorie Wild Berry Sparking Water and your choice of rum. Blend until smooth. Pour into a chilled glass and garnish with fresh fruit. You can't pass up a margarita, especially when it's low-cal! Make this drink by slicing up about 10 strawberries and 3 kiwis. Put the fruit into a blender with ½ cup of lime juice, 6 oz of tequila, 4 oz of Cascade Ice Zero-Calorie Kiwi Strawberry Sparkling Water and a handful of ice cubes. Blend together until smooth. Pour into a glass rimmed with sugar and add a slice of kiwi or a strawberry to garnish. 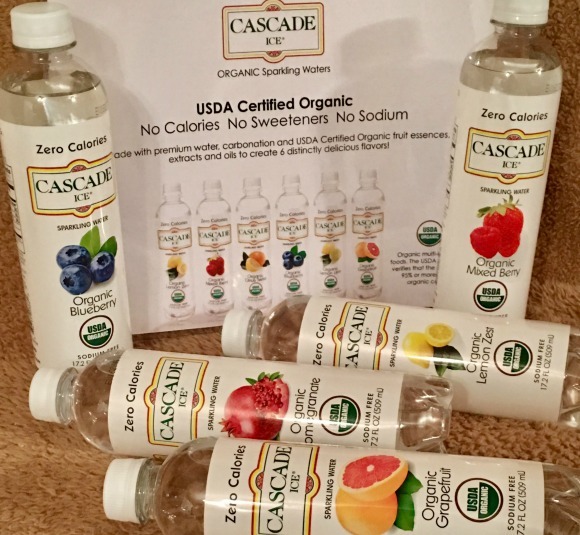 Or if you like to totally change it up you can even use Organic Cascade Ice waters to make some really fun drinks. 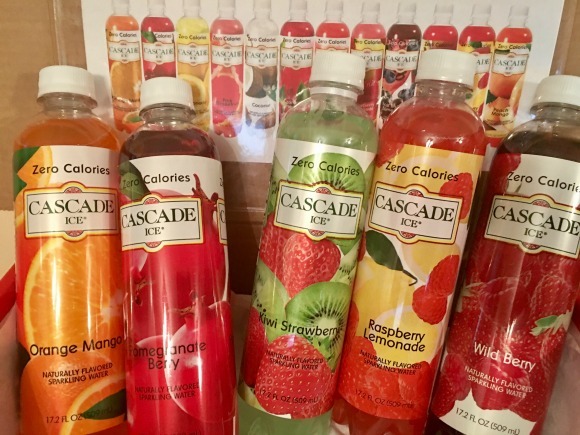 Experience the guilt free taste with zero calories, no sodium, no caffeine, zero grams of sugar, no carbs and gluten free. Pick out your favorite types of berries and apples to try the Berry Blast Smoothie. To create one, mix 1 cup of apple slices, 3/4 cup Greek yogurt, 1/2 cup soy or almond milk, a handful of fresh berries and 4oz Cascade Ice Organic Mixed Berry sparkling water in a blender. Blend until smooth and top with a few more fresh berries. Start with 3oz of Cascade Ice Organic Blueberry sparkling water. Then pour 1oz of club soda. Stir it a bit and add several slices of watermelon and blueberries for the final touch. You’ve just added two servings of fruit to your family’s diet! You can find more great recipes on the Cascade Ice website.